Mitool Heavy-Duty Vibro Motor Powered electromechanical Vibrating feeders are high frequency vibrating machine of heavy duty capable of conveying bulk material from storage to processing or between processed at a continuous controlled rate flow. Mitool Electromechanical Vibrating feeders are used in processing industries for handling all type of materials such as hot, damp, lumps, dusty or abrasive for various functions like flow of material from storage, proportioning and blending, packaging,mixing, weighing, sprinkling, screening, scalping, crushing, washing, drying, heating,cooling, dusting, spreading, batching and etc. Mitool Vibratory Motors used in Vibro feeders are totally enclosed 3 phase, squirrel cage induction motors with adjustable, eccentric weights mounted on the extended shaft to set up vibrations during rotation. The design of shaft and the selection of bearing has been carefully done to withstand heavy radial loads. Two identical motors mounted parallel to each other on a right and left, which is free to move in clockwise or anticlockwise directions, will produce linear vibrations. Both motors must rotate in opposite direction to each other. 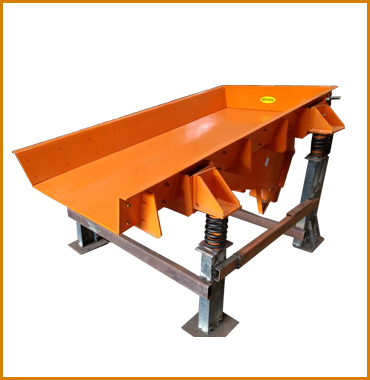 This principle is adopted for handling large bulky material in large feeders. 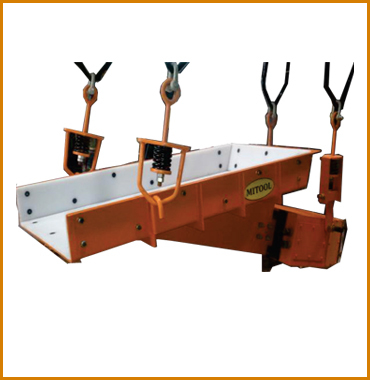 Mitool Vibrating electromechanical feeders can be supplied with base mounted type of suspension or one end suspension & one end base and vice versa. These electromechanical feeders are having a tray mounted on the drive units. This drive unit is located beneath the tray or on top of the tray in special case. 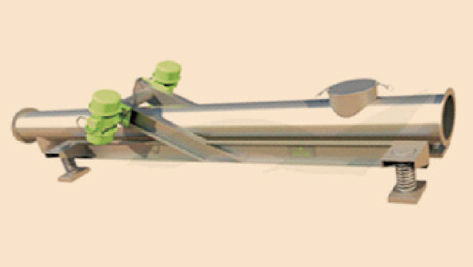 Mitool Tubular Feeders ensure that all the material is safely transferred from the feed hopper to the required destination. Available in round or square sections , Mitool Tubular Feeders are manufactured in a range of 160 mm dia to 500 mm dia and in lengths of from 1 meter to 5 meters. Tubular Vibratory Feeder can be operated by vibratory motors or electromagnetic drive units Mitool Tubular Feeders can be operated at tube angles from 100 up hill to 150 down slope only in motorised Tubular Feeder. 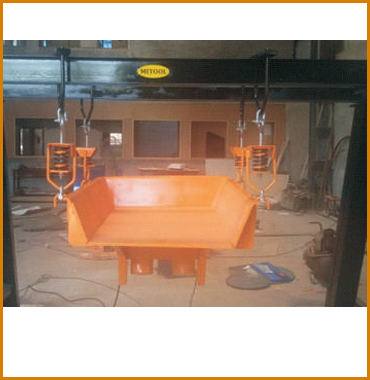 Mitool tubular vibrating feeder is an important inertial-vibrating conveyor. It has simple structure and various forms and specification, which can meet the demand of short and intermediate transportation of all kinds of small block, granular and powder material, widely used in different environment in various industries.